Hi all! Its been such a long time since I’ve wrote a post I’ve almost forgot how to! So I’ve finally decided Im going to give P90X3 a go. I’ve been doing mostly Body Beast to try and add some size. Love Body Beast, but my first love was P90X and I’ve had X3 since it came out. My wife actually did 90 days straight of X3 and got really good results! I’ll put up her before and afters at the end of this post. As I was reading in the P90X3 Guide, I looked at the X3 Mass Program (theres also a Classic, Lean, and Doubles) and decided that’s what Im going to do next. I’ve personally gained some weight (which I wanted to do) with Body Beast and now I need to cut some of the body fat, so I thought what better program to help me do that than X3! Where does the Challenge come in? Bottom line, its for anyone who is willing to commit to it for 90 days. How do you Commit to the P90X3 Challenge? Its easy to commit. Here are some of the questions that I would ask you to find out what you want to accomplish. Q: Why are you wanting to do this challenge? Q: Are you willing to commit to change for the 90 days of the challenge? Specifically are you willing to try new things, new foods, and workout each week trying your best to not miss any workouts or the most important meal of the day? You might be thinking…whats the most important meal of the day? Breakfast? Thats what I’ve always heard. Well kinda. Of course I don’t want you to miss breakfast, but Shakeology is specifically what Im referring to. Don’t know what Shakeology is? Its the ABSOLUTE BEST THING YOU CAN PUT IN YOUR BODY!! Its you’re daily dose of dense nutrition. 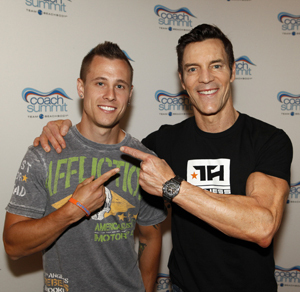 Check out what Tony says about Shakeology. So this is what Im trying to say. Its a pretty big deal. Nowhere else are you going to get this amount of nutrition for your diet. This stuff is the foundation of being healthy and with all its added health benefits that makes it an absolute must to be in my P90X3 Challenge. Because this is an investment. And if Im going to invest my time with you for free, then I’ve got to know that you’re willing to invest in yourself!! Yes thats right and it deserves to be repeated. You’ve got to be willing to invest in you!! What if I don’t like the Taste? This is my go to answer every time. Healthy foods including Shakeology sometimes takes a while for you to like. Why? Because healthy foods are 100% about being healthy, not tasting good. Not that they don’t taste good. I love the taste of healthy foods. But it may take a while for you to love the taste. Now don’t get me wrong. Shakeology is DELICIOUS! I like to tell people that “taste” is what’s gotten you to this point and now you’re asking me for help. You’ve got to be willing to retrain your brian and your taste buds. We should eat to survive, not because it taste good!!! I want in the P90X3 Challenge. What do I do? Well that part is pretty simple. 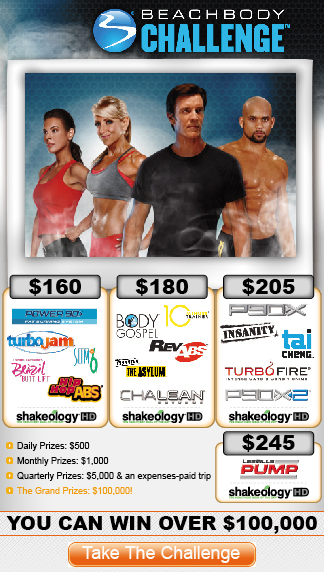 In fact Beachbody is currently running a special on the P90X3 Challenge Pack. A challenge pack consists of the entire workout, fitness and nutrition guide, and your 1st month of Shakeology. The best part is you basically get Shakeology for half price!! Yep thats it. 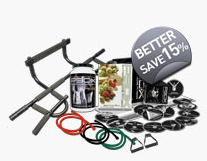 All you need to do is click on this link —> P90X3 Challenge and click a few more times to get the P90X3 challenge pack. On Sale this month for $180. Then just email me here –> Contact Me and simply write in the message body “I want in the X3 Challenge! !” and you’re in! We’ll set a time through email to connect with each other, and from there I’ll add you into the SUPER PRIVATE Facebook group. These groups are truly worth $1000’s of dollars. You just get so much support, and you get to connect with others going through the same thing as you, and sometimes you even get to inspire others. Its a great feeling! Don’t miss out on it! I can’t wait to hear from you! Here’s my lovely wife. She still has some goals to meet. But its all about the journey and a lifestyle change. She’s tackling one day at a time and doing an awesome job!! As always if this helped you in any way, please leave a comment below and share this within your social networks!